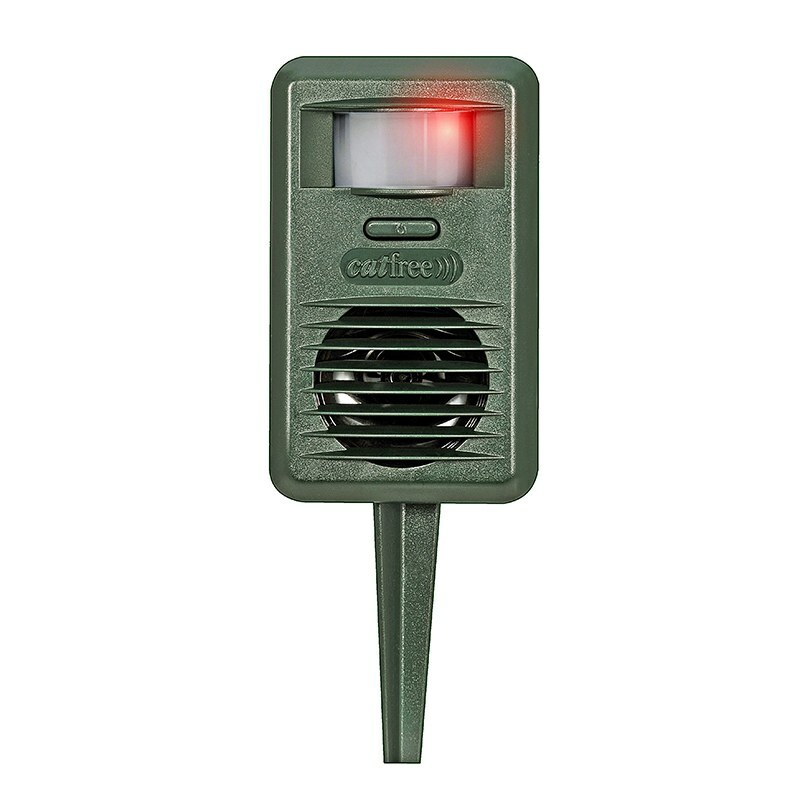 Made in the UK and with a 2 year warranty, Catfree is compact, easy to use and protects garden birds, wildlife, fish ponds and flower beds in an area up to 88 sq m.
Catfree works by detecting the movement and body heat of cats through its sensitive PIR (passive infrared) lens. Once activated, the unit broadcasts a powerful series of modulating ultrasound frequencies through its high quality speaker. The ultrasound deters only cats, can't be heard by humans and does not affect birds or any other animals. You will find over a short period of time that cats will not enter the area protected by the deterrent. Catfree works day and night in all weathers. The power supply is a 9 volt Duracell alkaline battery (not supplied) or to make the device even more effective, purchase the optional mains adaptor. If run off the mains the device will only cost approx £3 per year to run! 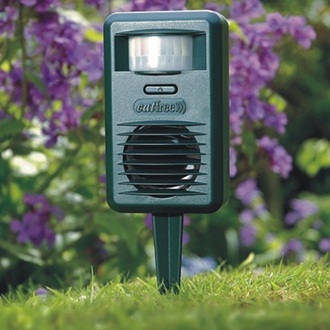 Also available, for indoors, is a Pestcontroller deterrent.